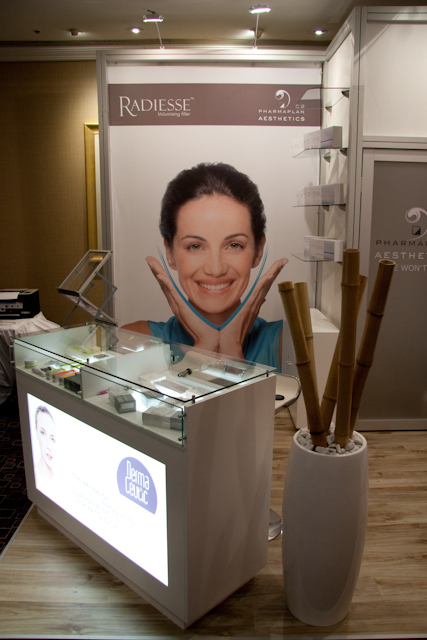 Pharmaplan Aesthetics Expo Stand for the Cosmedica 2011 Congress. Latest stand for Pharmaplan Aesthetics division for the Cosmedica 2011 Congress. Held at the Hilton hotel in Johannesburg. Using Octanorm Maxima and large format high impact full colour fabric prints a simple yet effective booth was created. 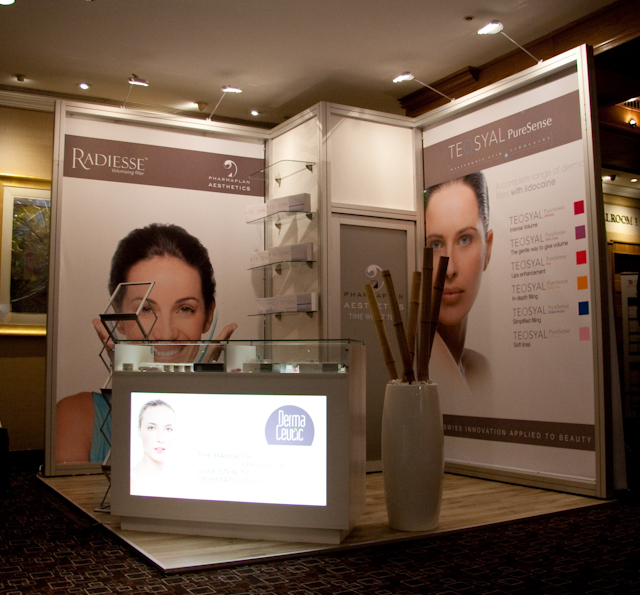 The stand was used as a platform to launch their newest range Teosyal and also to further market Dermaceutic as well as Radiesse. The stand was constructed in 5 hours and removed in just under 3 hours.